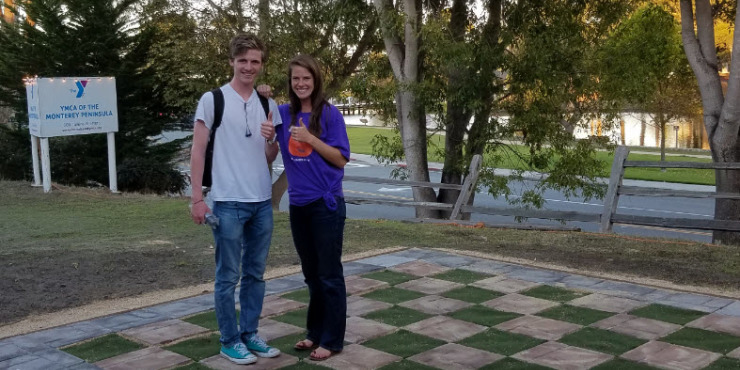 Brandon Earley chose the YMCA of Monterey Peninsula as the site to complete his Eagle Scout project. Brandon wanted to help with the aesthetics in the front of the YMCA so he chose to do a checker board that the kids in camp could use. Graniterock was more than happy to donate all of the supplies as well as the delivery cost. The kids and staff are so excited to have something in the front of the Y that allows them to work and play as a team.